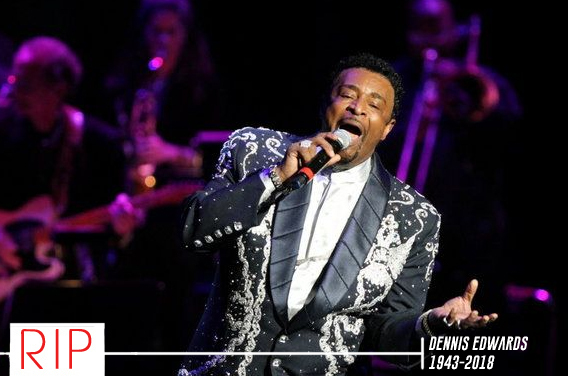 Rock & Roll Hall of Fame inductee and Temptations singer Dennis Edwards died on Thursday at the age of 74, one day shy of his 75th birthday. Word of his passing started to spread late Thursday evening on social media from the official Pointer Sisters’ Facebook page led by his daughter, Issa, who is also the daughter of Ruth Pointer. According to his wife Brenda, Edwards passed away at a hospital in Chicago of complications from meningitis, a disease he was diagnosed with in the summer of 2017. Born on the outskirts of Birmingham Alabama in Fairfield, Edwards was cultivated on a diet of gospel music coming from his father’s church, for which his father served as pastor. He later moved north with his family to Detroit while in his teens. This led him to sing briefly with gospel group The Mighty Clouds of Joy. Eventually, he found a new career path singing in small local R&B groups and even auditioned for Motown Records. 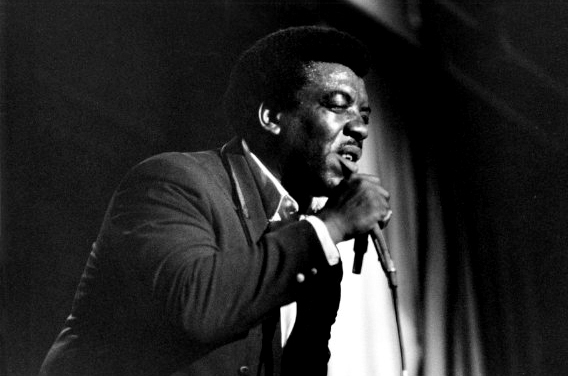 Thanks to Edwards’ delivery, one saturated in the art of black church sermonizing and powerhouse soul, his audition performance for Berry Gordy’s label earned him a spot with The Contours. In 1967, Edwards left The Contours and was placed on retainer while seeking for newer recording opportunities. But several stunts in late 1968 from David Ruffin forced the members of the Temptations to seek a replacement, giving Edwards his first big break on the Norman Whitfield-produced LP, Cloud Nine. The title track, stylized with an inventive whirl of psychedelic soul, earned the Temps their first Grammy nomination and win, also becoming the first Grammy win for the entire Motown label. Subsequent singles using that same style and elements of funk followed, including “Run Away Child, Running Wild,” “Ball of Confusion (That’s What the World Is Today),” “I Can’t Get Next to You” and “Psychedelic Shack.” But the Temps’ grandest moment arrived with the twelve-minute magnum opus, 1972’s “Papa Was a Rolling Stone.” The track is gloriously layered with the works: symphonic strings, haunting interludes, classic harmonies, driving funk and convincing vocals from Edwards. It was a number one hit on the Billboard Hot 100 and earned the group three Grammys the following year. Edwards would re-join the group after they returned to Motown as they performed for the quintessential Motown 25: Yesterday, Today, Forever 1983 television special and prepped for their Reunion album, a disc that united the classic and latter lineups of the group. From that session, Rick James produced the funky jam “Standing On the Top,” the album’s only R&B hit single — which landed at number 6 on the R&B Top Ten. After missing rehearsals and shows, Edwards was eventually replaced by Ali-Ollie Woodson. 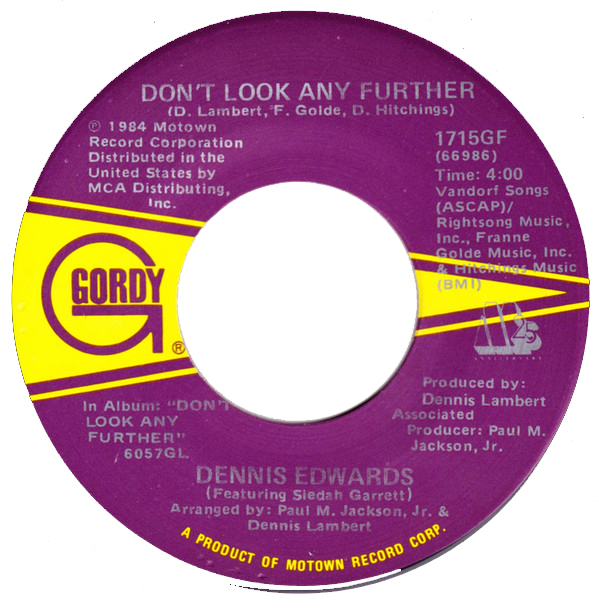 “Don’t Look Any Further,” Edwards’s biggest solo hit, remains one of the greatest soul records of the 1980’s. 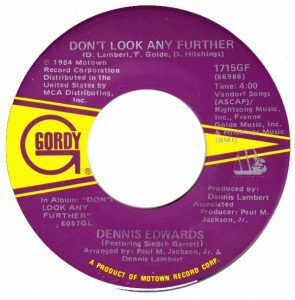 Another shot at a solo career emerged, giving Edwards his most memorable record — a 1984 duet with Siedah Garrett on the Dennis Lambert-produced “Don’t Look Any Further.” Thanks to the rapturous intimacy of the pair, an infectious Swahili lyric on the chorus (“dayo umba dayo, o mambu ji-ay-o”) and its memorable slick bass lines, the song became an instant smash on black radio, resulting in a number two slot on the R&B singles’ charts. And for its worth, the low-budget music video remains one of the most remembered soul videos of the early ‘80’s. It’s also become a goldmine in the world of sampling, where acts like Notorious B.I.G, 2Pac, Eric B. & Rakim and Snoop Dogg have all inquired it for their catalog. The album, also titled Don’t Look Any Further, landed at number 2 on the R&B Albums’ chart. Throughout the ‘80’s, Edwards’ rampant drug use and behavioral antics foiled much of his progress, eventually pushing the Temptations to fire him for the last time in 1989. He managed to unite with former Temp stars David Ruffin and Eddie Kendricks for a cross-country “Ruffin/Kendricks/Edwards” revue, but the unfortunate deaths of Ruffin and Kendricks (in 1991 and 1992 respectively) doomed the final leg of the tour. 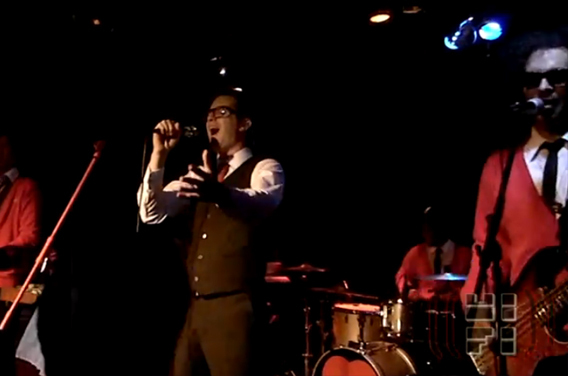 For the rest of Edwards’ career, he survived on the road performing with Temptations tribute band, The Temptations Review. The fight to use the Temps name in his act ended up costing Edwards a pretty penny, but one he felt was worth fighting for. “We spent over a million dollars on this battle, but the judge said, ‘Let Otis be with the Temptations, and you can use the Temptations Review,’” Edwards told Alabama News Center in a 2016 interview. A much-deserved induction into the Rock & Roll Hall of Fame arrived in 1989. Surviving members of the Temptations were also presented a Grammy Lifetime Achievement Award from the Recording Academy in 2013. After ailing from an undisclosed illness in May last year, Edwards, who moved to St. Louis and lived there for decades, recovered and managed to make one of his last public performances with the Temptations Review in his hometown of Birmingham during a star-studded bicentennial celebration for the state of Alabama in October. ‘Dreamgirls’ legend Jenifer Holliday along with American Idol alums Ruben Studdard and Bo Bice was also on the show’s headlining marquee. 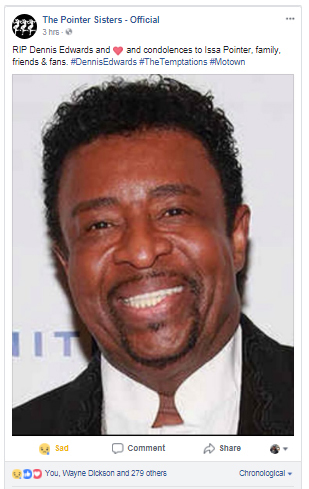 Edwards is survived by daughter Issa, daughter of Ruth Pointer of the Pointer Sisters, and his wife Brenda. This post has been updated with cause of death and additional information on Edwards’ health.